Salon Rouge is part of a series of interior paintings based on the haunts of artists and literary figures. 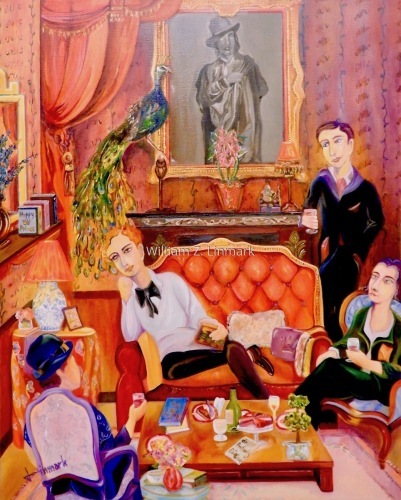 I was inspired to paint Salon Rouge based on my interpretation of figures paying tribute to the Irish Poet, Oscar Wilde I want to evoke a sense of feeling in the art of conversation. 6.25" x 5"8.75" x 7"11.25" x 9"13.75" x 11"16.25" x 13"21.25" x 17"